The Kamilah Desert is one of the driest, remote areas of Marada. 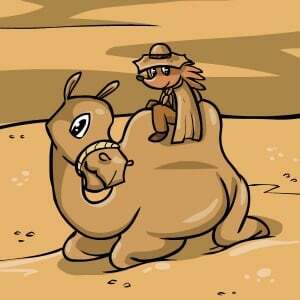 The Kamilah Traveller rides on his pet Hump throughout the desert and needs many different supplies along the way for his journey. Bring him the items that he needs before the time limit and he may reward you with a rare Kamilah Code he found along his travels. These are needed for access through the Kamilah Pyramid.